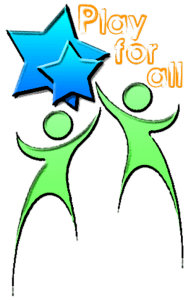 Play for All is an Afterschools & Holiday Care Service for children aged 4-11 years. At Play for All we bring children back to the basics of play and encourage them to explore the elements. We recognise the importance of play during childhood and we ensure all children have access to a variety of play in our care. We provide arts & crafts, table top games, construction areas, team games, outdoor/indoor play and healthy snacks. We are committed to providing an excellent standard of care whilst actively promoting equal opportunites and providing effective learning opportunities for all children. We aim to keep our costs at a minimum, so that we are affordable for working parents who require our services. We open full days during all school holiday periods. Our specialist staff members are trained in Childcare and Playwork and are able to deliver Top Skills and Top Sport, Out 2 Play, Food 4 Play and Active club workshops. Opening times: From the end of the school day until 6pm Monday-Friday and from 8am during school holidays for Full Day Care. Breakfast club is from 8am each morning and it will costs £3 per child per day.